I begged and cajoled, threw tantrums and fits, screamed and cried, yet to no avail. Workman Publishing was FIRM: I had to resist my desperate impulses to share all the great new Dancers Among Us photos I was taking across the country. "I have nothing to post!" I would whine. "I really have to hold everything back?" Editor in chief Susan Bolotin would soothingly reassure me. "Don't worry, the world will see your beautiful photos soon enough." "Soon enough?" I thought. "It's only January." Days creaked by. We live in a world of instant gratification, and I'm definitely a product of that environment. Asking me to wait even ten minutes to post a photo is like asking a junkie to wait for his fix. Imagine what ten months was like! Hell on earth. The wait is finally over. 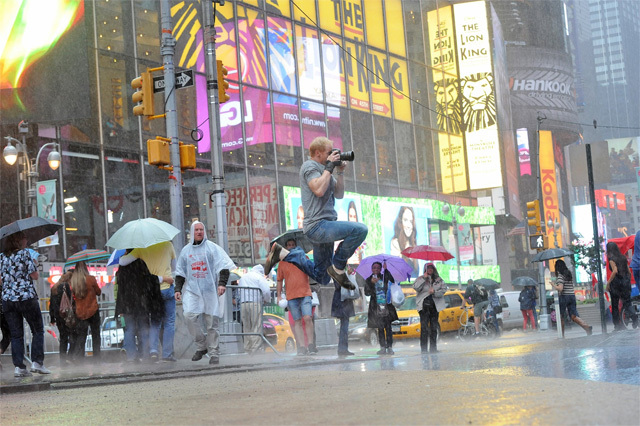 Over FIFTY of my very favorite new images (along with over one hundred previously released photos) will see the light of day next Tuesday, when Dancers Among Us arrives in bookstores across the country. All I have to do is wait one more week. Just seven days. Less than two hundred hours. I can do this! Every junkie needs a little taste, and this is mine. I will hold the other images, but this one I just HAVE to release early. I've been waiting so long. 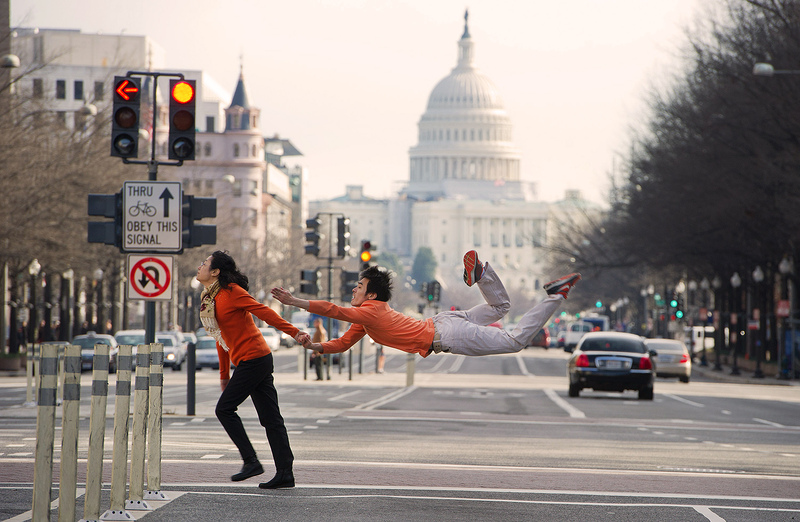 I photographed Sun Chong of Washington Ballet crossing the street with his mother in front of the Capitol on December 30, 2011. This is the first photo I held back. Sweet Jesus that felt good! Now I'm satiated. If you live in or around New York City, please join me and the Paul Taylor Dance Company for an amazing launch party next Tuesday night, October 23 (click here for details). You'll get a signed book, lots of drinks, a performance by PTDC, raffles, videos, and lots and lots of dancing. Or you can just sit in the corner and look at all the new images in the book!